Everyone who posts content online does so with the hope that it will “go viral;” that is, get picked up and shared by people across the internet. However, you’ll need to temper your expectations in this regard. There’s always an element of luck involved in terms of which pieces of content go viral and which never make it big. 1) It should evoke some sort of emotional response. views on a strictly informative piece of content. Remember: most of the people you’re trying to reach are browsing the internet in their free time, which means they are searching for fun or interesting content, not content that feels like work to read or watch. Relax and cut loose the tight rope around your brand to increase your odds. 2) You have to be original. People will know if you’re attempting to imitate other brands. Your content will simply feel much more genuine if it is an original piece of work with a strong connection to your brand. Copying others will just make you look bad. Think outside your own box and beyond your brand. Originality shall be determined by the viewer, not the creator. 3) A well-established online community will make your job easier. It’s much easier to make a piece of content go viral if you already have a community online that is well-engaged with your brand. Build up followers on your blog, on social media and other platforms, and any content you share will be instantly delivered to that community for them to share with others. But remember: the whole purpose of a community is to let everyone give their input. People who follow you shouldn’t feel like you’re only interested in pushing content at them. 4) Promote it! Boost it! Never forget that those you are relying on to carry your content are mostly public companies trying to turn a profit from your viral content. Most have tight algorithms to limit viewership. You will have to spend some money to promote your content and boost any social media post tied to this content you hope to have go viral. Promotion money won’t get you anything close to a guarantee but the lack of a promotional expenditure reduces your odds into the lottery circles. As with any other marketing effort, it’s important to keep your goals in mind throughout the entire process. How much will having a piece of content go viral help your endeavors? Will it strengthen your brand, or simply provide you with a cheap gimmick? The best viral content will be the content that improves your brand in the long run. Lastly, going viral can be gauged from within your circles. Having a goal of a piece of content going viral may be doubling views or have a higher number of shares than ever before. 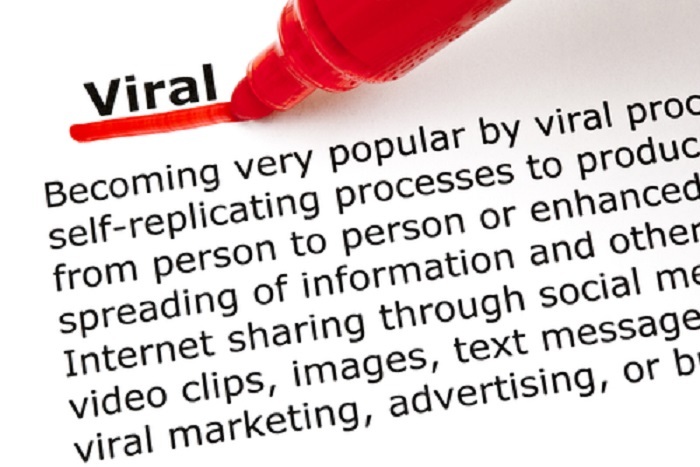 For more information about creating content that is more likely to go viral, contact us today at Viral Solutions!